Vietnam was a beautiful, interesting country, with friendly people, delicious food and a fascinating history. When we were in school, we learned very little about the Vietnam War, as it wasn't in the textbooks yet, and to our teachers and parents, it wasn't really "history." Traveling the whole country was a great way to learn about the war and America's involvement in it. But, we imagine it is an odd vacation destination for those who lived through the war, and felt that history very personally. One of our "parents" described it as "surreal" to hear about a Sheraton Hotel on the beach where he sat with a machine gun, and I can imagine we would be equally surprised when we have kids who choose to vacation in Afghanistan or Iraq. We traveled from South to North, and in retrospect we would have done that differently. 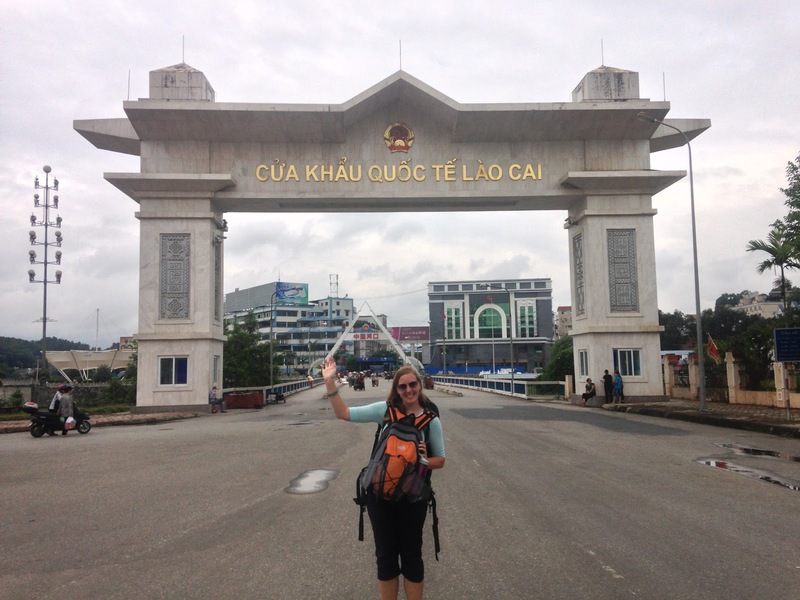 Because although we loved Sapa and Halong Bay, Saigon was one of our favorite cities and it would have been great to end there. Plus, the food in southern Vietnam is what we have always thought of as "Vietnamese food": Pho, noodle soups, lots of fresh herbs and fresh spring rolls. The food in northern Vietnam was much heavier, with significant Chinese influence, and was much spicier. 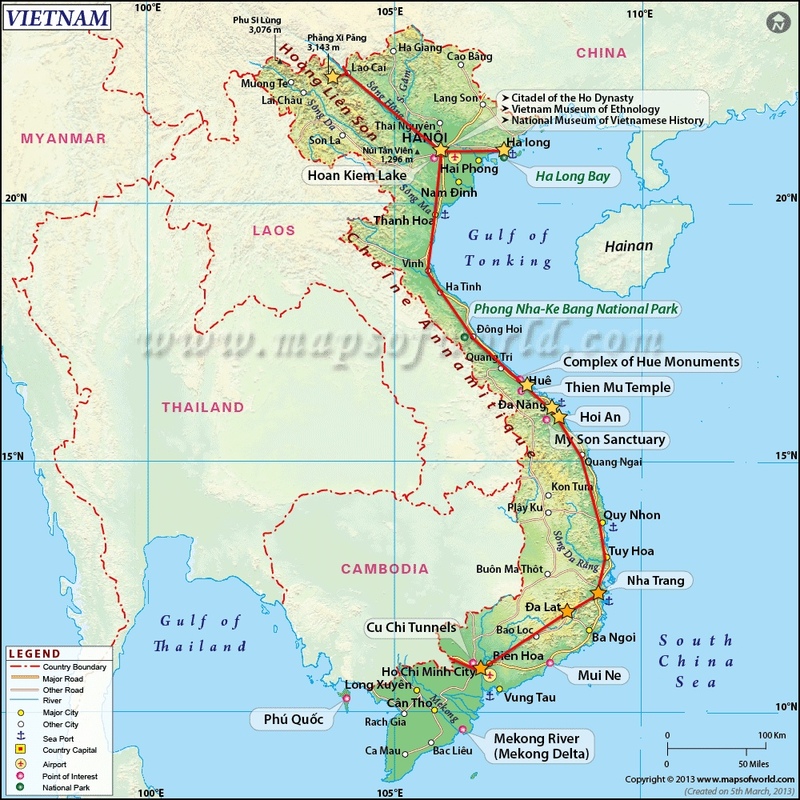 Lastly, it was very clear to us as we traveled north that the country was much more conservative and truly Communist as we headed north towards Hanoi (not surprising), and that we felt more welcome and comfortable nearer the center and south of the country. That being said, at no time did we feel that the US involvement in the Vietnam War made it an uncomfortable, unsafe or unwelcoming place for us to visit. In fact, when people found out we were from the US, they were very excited that we were there. 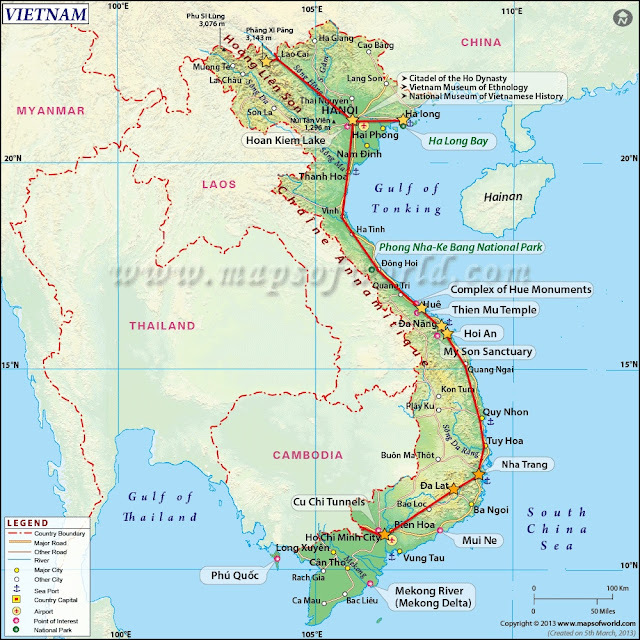 Final Costs for Vietnam: In total, we were in Vietnam for 35 days and spent $3,077 (daily average of $88 per day). Our daily averages for expenses were: $27 on housing, $27 on food, $10 on transit, and $28 on other expenses (that doesn't exactly add up to $88 but there are some reasons for that I won't go into). Our Vietnam section could have been less expensive, as we spent more in the last week in Halong Bay and Sapa, to fully experience the places, and we don't regret it at all! We also saved a lot of money on transit, because although the trains are expensive, they are much cheaper than flights, and we didn't spend any money on transit once we arrived in a town, relying almost completely walking. The other major expense we had for Vietnam was for our visas. Although it is an inexpensive country once you get there, the visas cost us $140 each before we left home.